Swiss watch manufacturer Audemars Piguet hosted a special evening to mark the launch of their Royal Oak Offshore 42mm timepiece collection at Victoria House Basement, Bloomsbury. Guests were treated to an evening of entertainment and special projection mapped features. Event Projection were brought in to supply custom projection solutions for the event including huge wraparound immersive projection. A total of 14 high spec projectors were used. The highlight consisted of high-res panoramic seamless projection screen using 5 x WUXGA projector blend with total image resolution 8000 x 1200. The huge projection formed a backdrop for a special impromptu performance by Tinie Tempah who’s a big fan of the Swiss brand. 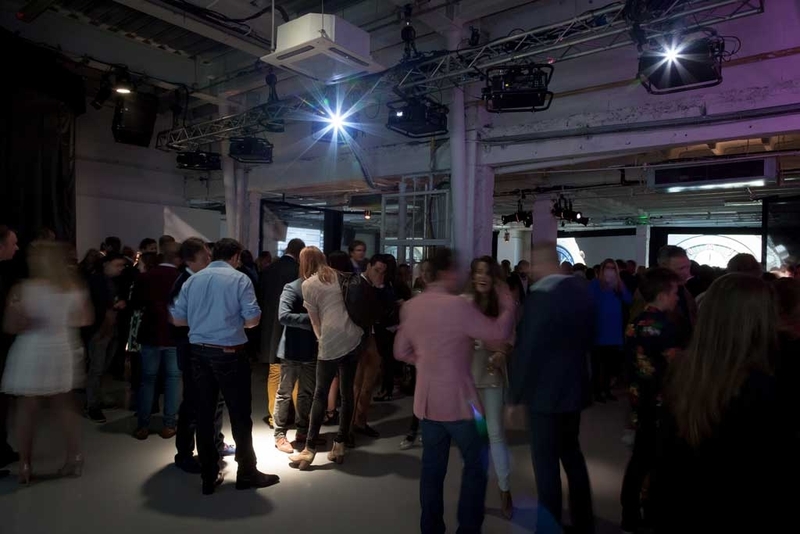 Production Company Inca transformed the venue to meet the new, more technical, sculpted aesthetic of the watch collection. 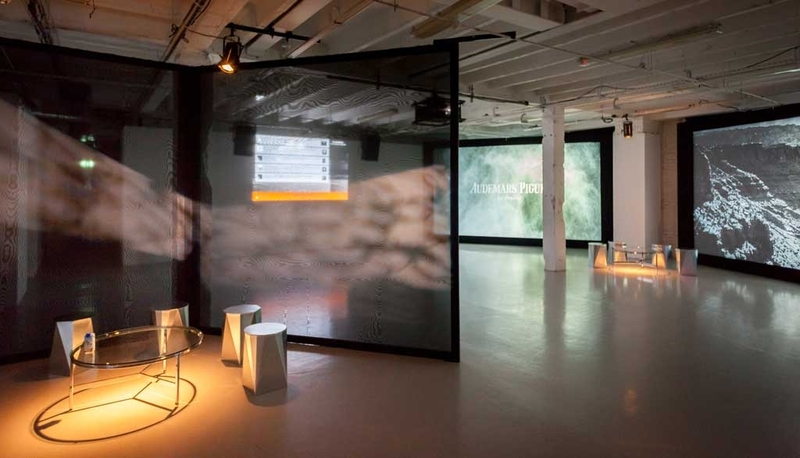 Their work created the perfect environment for the event and a fantastic environment for our projections. The projected backdrop stretched around the venue and pulled together all of the elements of the evening. 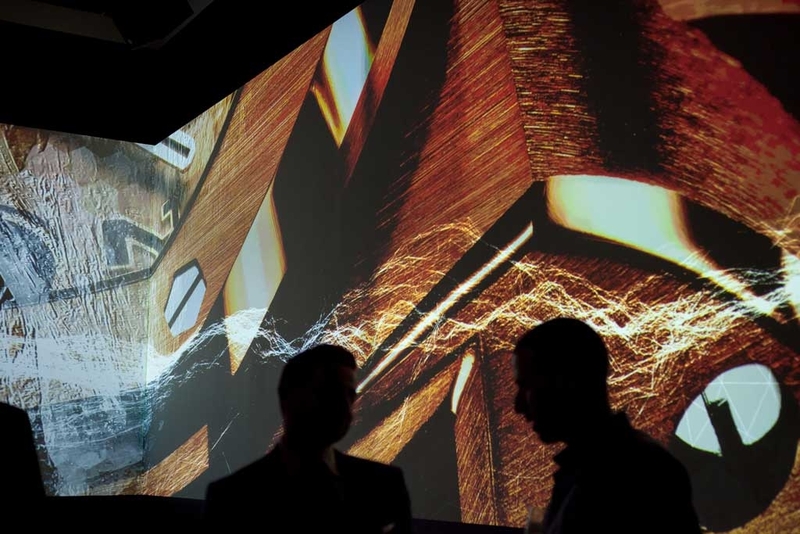 This included clients campaign video, impressive visuals created by Limbic Cinema and stage reveal mapping structure which was a surprise to the public. In addition to this we supplied HD Projection for custom built rear projection screens and social media HD Wall.